Brown Girl Reading has made 9 years today. I can hardly believe it. So in honor of my blogging birthday I’m reposting one of my first reviews. 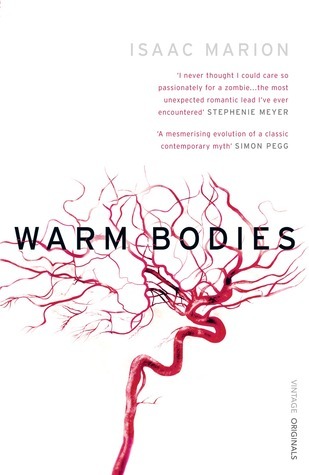 You won’t believe it but I reviewed a zombie novel called Warm Bodies. Hated it! Surprise, surprise… Thank you all for reading, commenting, and supporting all these years. I really appreciate it. So here’s a post from the past in celebration of all of these years of blogging. Now nobody can say I haven’t tried to read a fantasy/zombie/romance/horror book. That favorite quote is pretty funny though.